Eye injuries in the workplace are very common. The National Institute for Occupational Safety and Health (NIOSH) reports that every day about 2,000 U.S. workers sustain job-related eye injuries that require medical treatment. However, safety experts and eye doctors believe the right eye protection can lessen the severity or even prevent 90% of these eye injuries. Your optometrist can assist your employer and you in evaluating potential eye hazards in your workplace and determining what type of eye protection may be needed. See American Optometric Association's Occupational Vision Manual for more information. Know the eye safety dangers at your work. Keep your safety eyewear in good condition and have it replaced if it becomes damaged. Nonprescription and prescription safety glasses. Although safety glasses may look like normal dress eyewear, they are designed to provide significantly more eye protection. The lenses and frames are much stronger than regular eyeglasses. Safety glasses must meet standards of the American National Standards Institute (ANSI). Look for the Z87 mark on the lens or frame. Safety glasses provide eye protection for general working conditions where there may be dust, chips or flying particles. Side shields and wraparound-style safety glasses can provide additional side protection. Safety lenses are available in plastic, polycarbonate and Trivex™ materials. While all four types must meet or exceed the minimum requirements for protecting your eyes, polycarbonate lenses provide the highest level of protection from impact. Goggles. Goggles provide protection from impact, dust and chemical splash. Like safety glasses, safety goggles are highly impact-resistant. In addition, they provide a secure shield around the entire eye and protect against hazards coming from any direction. Goggles can be worn over prescription glasses and contact lenses. Face shields and helmets. Full face shields protect workers exposed to chemicals, heat or blood-borne pathogens. 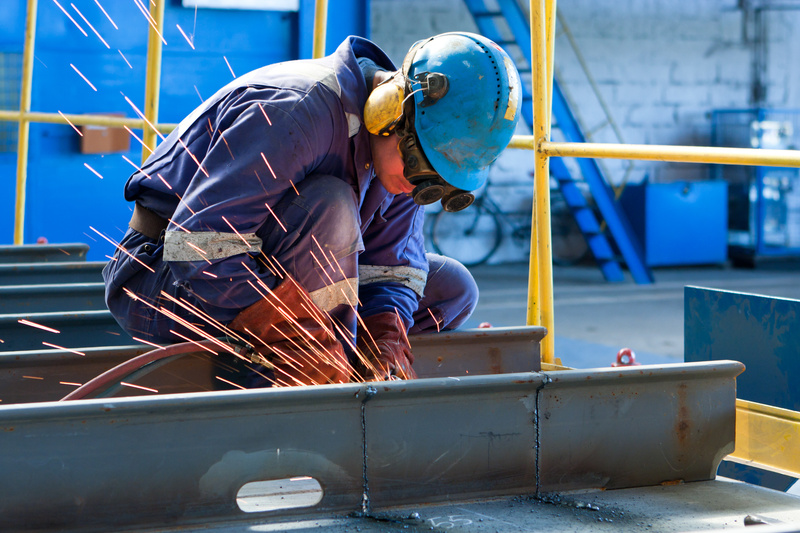 Helmets are used for welding or working with molten materials. Face shields and helmets should not be the only protective eyewear. They need to be used in conjunction with safety glasses or goggles, so the eyes are protected when the shield is lifted. Special protection. Helmets or goggles with special filters to protect the eyes from optical radiation exposure should be used for welding or working with lasers. Safety glasses must fit properly to provide adequate protection. Also, eye protection devices must be properly maintained. Scratched and dirty devices reduce vision, cause glare and may contribute to accidents. Combined with machine guards, screened or divided work stations, and other engineering controls, using the correct protective eyewear can help keep you safe from any type of eye hazard. Contact lenses can't provide significant protection from eye hazards in the workplace. However, there is no evidence that wearing contact lenses increases the risk of eye injury. Contact lenses may actually increase worker safety and productivity because they often provide improved vision in the workplace. Individuals who wear contact lenses usually have a wider field of vision than with eyeglasses. They also often have less visual distortion, especially with higher power lens prescriptions. In addition, wearing contact lenses instead of eyeglasses can improve the fit and comfort of eye safety equipment, such as goggles and full-face respirators. The American Optometric Association believes workers should be permitted to wear contact lenses in most eye-hazardous environments. However, these workers must wear eye protection over contact lenses according to the requirements for all workers performing the same job. 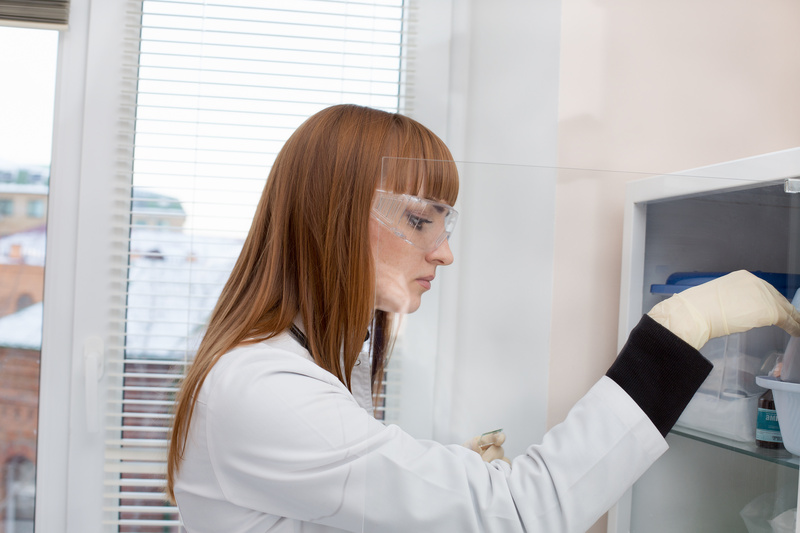 In some cases, such as when hazardous chemical fumes are present, the safety of contact lenses may need to be determined on a case-by-case basis. Check your employer's safety policy regarding the wearing of contact lenses. Your optometrist can help your employer and you determine whether you can safely wear contact lenses in your workplace. Seek medical attention as soon as possible following an injury, particularly if you have pain in the eye, blurred vision or loss of any vision. Several simple first aid steps can and should be taken until medical assistance is obtained. Immediately flush the eye with water for at least 15 minutes. Place the eye under a faucet or shower, use a garden hose, or pour water into the eye from a clean container. If you are wearing contact lenses, immediately remove them before flushing the eye. Do not try to neutralize the chemical with other substances. Seek immediate medical attention after flushing. Try to let your tears wash the speck out, or irrigate the eye with an artificial tear solution. Try lifting the upper eyelid outward and down over the lower eyelid to remove the particle. If the particle does not wash out, keep the eye closed, bandage it lightly and seek medical care. Some particles, particularly metallic ones, can cause rusting spots on the eye if left untreated for several days. If you are unsure if the object is gone, do not delay medical care. Gently apply a cold compress without putting pressure on the eye. Crushed ice in a plastic bag can be placed gently on the injured eye to reduce pain and swelling. In cases of severe pain or reduced vision, seek immediate medical care. Do not wash out the eye. Do not attempt to remove an object that is stuck in the eye. Cover the eye with a rigid shield, like the bottom half of a paper cup.